La pompe with even downstrokes and no upstrokes sounds amazing as a rhythm variation! EDIT: Apparently this is called flat four rhythm. 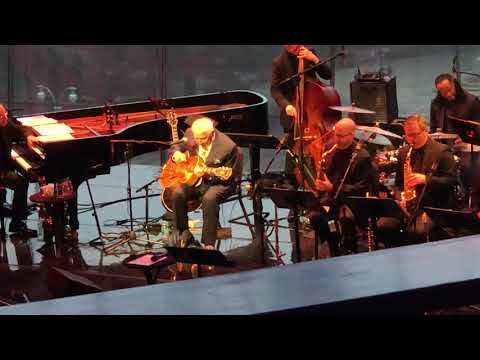 I listen to the Rosenberg Trio almost religiously and I've noticed a trick Nous'che will sometimes do to keep the rhythm interesting by playing la pompe with completely even downstrokes and no upstroke. Used correctly, it sounds amazing (obviously you don't do it for the whole song, just for a few seconds). 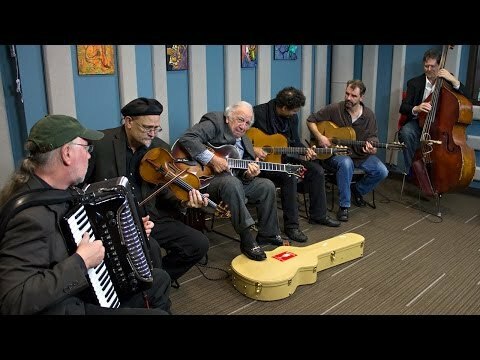 Honestly though, I don't think I've ever heard anyone outside of the Rosenberg Trio use this cool trick--not even Django; though admittedly I listen to the Rosenberg Trio a lot more than Django (blasphemy, I know.) Does anyone have any more examples of this technique, because I'm in love with this sound. Wouldn't that be what American swing players sometimes call "flat four"--or big-band or Freddie Green style--straight rhythm? I guess I know very little about other types of jazz, heh. I did try to look it up before posting, but didn't know the name of the technique and couldn't find anything. Django and the Hot Club Quintet often played the straight four. Lots of Polish players - gypsys and non gypsy - don't use an upstroke. In my opinion it doesn't sound that good. Like all tools in the toolbox it has it uses. In lower mid range tempos it is a very useful emphasis as are its first cousins where one plays staccato half notes on 1 and 3 or less commonly 2 and 4. In order to be effective IMO all 4 have the same articulation otherwise it just becomes no upstroke pompe. Yeah flat four is very typical of early American jazz rhythm guitar. Love it. Check out www.freddiegreen.org for more on a true master of rhythm guitar. The flat-four remains a part of the general--not just early--jazz vocabulary. 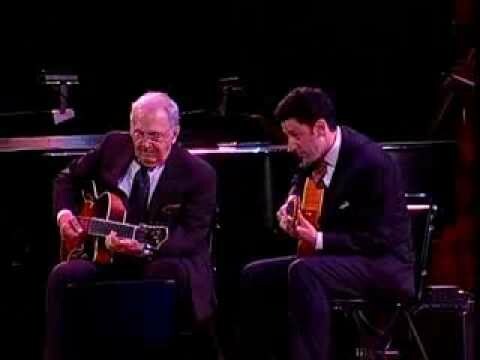 Listen to either Pizzarelli in rhythm mode. Oh for sure, far from obsolete style! Don't get me wrong I love that style. Just was saying where it came from.